To register your place on this Women's Network event, please contact womensnetwork@plymouth.ac.uk. 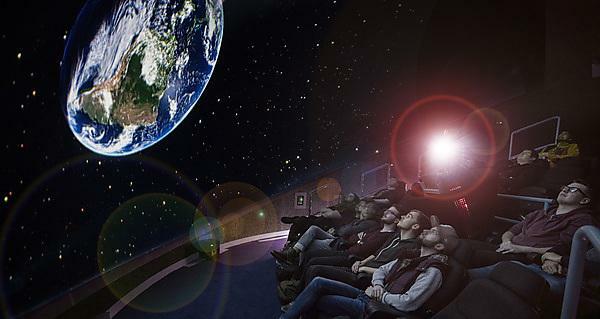 i-DAT proudly presents Plymouth University’s Immersive Vision Theatre, a planetarium reborn as a transdisciplinary instrument for creating and exploring science and art. Come on a journey ‘To the edge of the known universe and back' - a live and interactive demonstration with Luke Christison, tracking the frontiers of cosmic discovery and understanding. Join the Women's Network for this exciting experience and get a few women in that photo above! Please reserve your place by contacting womensnetwork@plymouth.ac.uk. Please note: The Immersive Vision Theatre has limited disabled access. The show can be sensitive for sufferers of motion sickness and epilepsy. We can admit ages of 6+ but the show is best suited to ages 11+.